First Spanish monthly win for the new generation VW Polo. After two double-digit gains in January and February, new car sales in Spain markedly slow down their gain in March, edging up just 1.9% to 128.683 units, the highest score for the month since 2007 (173.778), yet the year-to-date volume marks a 10.5% uplift to 342.012 registrations, the largest three-month result in Spain since 2008 (347.762). As expected, just as the market goes softer, private sales switch to negative mode at -3.8% to 56.150 and 43.6% share this month vs. 46.2% in March 2017. Year-to-date though, private sales gain 6.9% to 163.016 but lose share at 47.7% vs. 49.2% over the same period last year. Company sales fare the best in March at +12.1% to 36.559 and 28.4% share vs. 25.8% a year ago, and also YTD at +18.2% to 100.022 and 29.2% share vs. 27.3%. Rental sales roughly match the market at +1.8% to 35.974 and 28% share, unchanged, and up 8.8% to 78.974 and 23.1% so far this year vs. 23.4% a year ago. 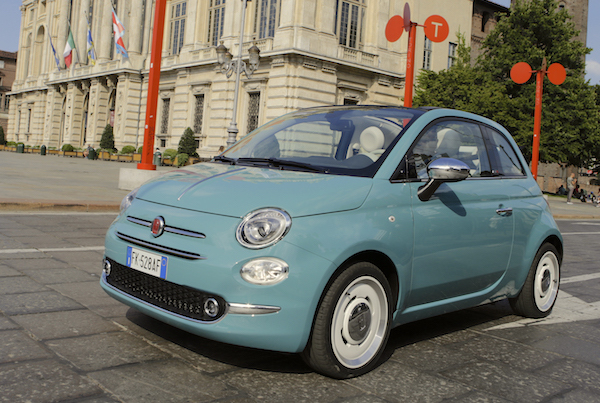 The Fiat 500 posts its very first podium ranking in Spain. Volkswagen leaps up 3 spots on February to take the lead of the brands ranking despite dropping 1% year-on-year to 7.7% share. It is followed by Renault down 5% but also up 3 ranks to #2, Peugeot up 10% to 7.1% share, Nissan up 7% and five spots to #4 and Seat up 3% to 6.8% but down from #1 last month. Seat retains the YTD #1 spot with sales up 16% to 8.3% share vs. 7.7% for Volkswagen at #2. Along wth Peugeot, Fiat (+20%) and Kia (+14%) are the only two additional Top 10 carmakers to post a double-digit year-on-year gain in March. Further down, Abarth (+92%), Jeep (+72%), Tesla (+63%), Honda (+40%), Mazda (+36%) and Lexus (+20%) lodge the most spectacular improvements of the month. 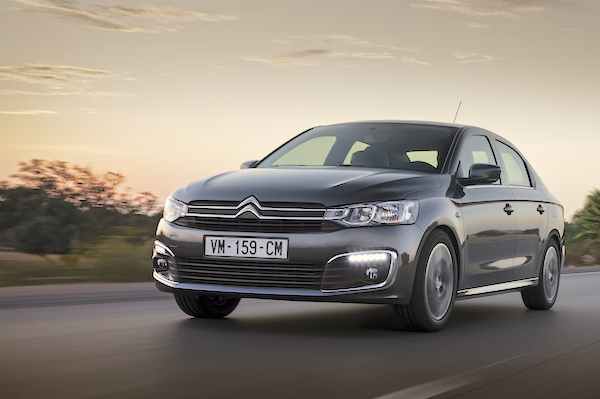 Citroen C-Elysee sales are up 61% year-on-year in Spain this month. 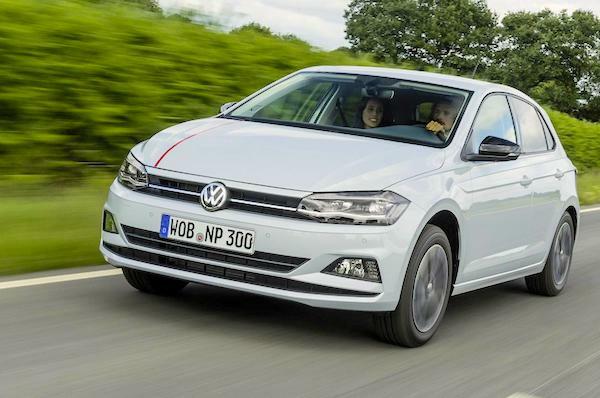 The VW Polo surges up 10 spots on February to snap the Spanish models pole position this month and despite sales down 13% year-on-year. This is the Polo’s first Top 10 ranking here since last July – finally feeling the effects of the new generation – and first top spot in a year: it also ranked #1 in March 2017. As a result, the Polo’s YTD ranking improves to #7 vs. #8 over the FY2017. The Seat Leon reclaims the YTD lead despite a paltry 4th place in March but the Ibiza, #1 until now, ranks even lower at #6. The Nissan Qashqai climbs to #2 despite dropping 2% but the hero of the month is once again the Fiat 500: up a majestic 98% on March 2017 to break into the Spanish podium for the very first time at #3, only one month after cracking its first Top 5. We suspect that this sudden gain of form by the 500 in Spain has little to do with Spanish private buyers’s sudden change of heart, rather some particularly interesting deals with rental car companies, a channel Fiat has traditionally thrived in. 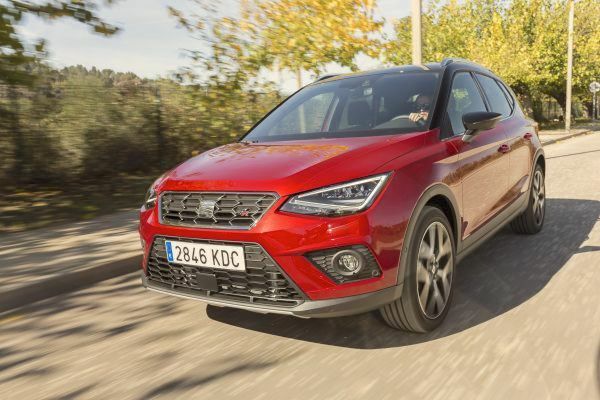 Somewhat logically, the Seat Arona is the best-selling recent launch at home. Other double-digit gainers inside the Top 10 include the Peugeot 208 (+31%), Dacia Sandero (+22%) and VW Golf (+11%) while outside let’s single out the Mazda CX-5 (+69%), Citroen C-Elysee (+61%), Nissan X-Trail (+58%), Micra (+57%), Hyundai i30 (+43%), BMW X1 (+25%), Ford Kuga (+22%) and VW Tiguan (+18%), The Seat Arona continues to lead recent launches (<12 months) but drops 6 spots on last month to #24. It distances the Kia Stonic posting its first Spanish Top 50 ranking at #38 (+14), the Citroen C3 Aircross at #43 (-4), the Hyundai Kona at #53 (+5), Opel Crossland X at #56 (+7) and VW T-Roc at #60 (-7). Full March 2018 Top 45 All-brands and Top 285 All-models below.